How much does barrel length impact bullet velocity in .38 Spl and .357 Mag revolvers? We tested 8 different loads in 11 different guns to find out. Watch the video below for a summary of the results, or keep reading for the old fashioned text version. A lot of you guys have been asking about the status of our .38 Special and .357 Magnum ballistic gel tests. We are very close to having that wrapped up and I’ll be sure to let you know as soon as the results are ready. In the meantime, I wanted to give you a quick look at some of the background research we did before we started the actual gelatin tests. With .38 Special, and especially with .357 magnum, conventional wisdom says that barrel length has a huge bearing on the effectiveness of the bullet. The longer the barrel, the greater the velocity, and for self-defense rounds, higher velocities often translate to better penetration and expansion. The same could be said for the semi-auto calibers that we’ve tested in the past, but .38 and .357 cover a much broader range of velocities than any one semi-auto caliber and that means barrel length tends to be an even more important factor with revolvers. So for our ballistic gel tests, we wanted to test each load with both of the two most common barrel lengths for defensive revolvers, which are 2-inch and 4-inch. But deciding which guns to use for the tests was a little tricky because, for example, not all so-called 2-inch snub nose revolvers are actually 2 inches. Some are 1 ⅞ inches or 2 ⅛ inches or 2 ¼ inches, and we weren’t quite sure how much of a difference it would make in our test results if we chose one snub nose over another. We also wanted to verify that there was a significant difference in velocity between the two inch and four inch guns we were planning to use before we started shooting up our expensive gel blocks. So we got out the chronograph and measured velocity for a few different loads that we just happened to have in the safe – four .38s and four .357s. We ended up testing these through a lot more guns than we originally planned. In total, we got velocities from 10 revolvers and just for fun, I also brought along the carbine. We didn’t have the S&W 640 Pro or the S&W 686-3 available when we took all of the velocity measurements which is why there are some gaps in the data. Taking a quick glance at the chart, it’s readily apparent that the velocity generally increases with barrel length, but not in every case, and the rate of increase is not predictable. If we tried to predict this data using the “50 feet per second per inch” rule, each line on the graph would progressively rise higher as the barrel length increases from left to right. In some cases, however, the velocity actually drops going from a shorter to a longer barrel. 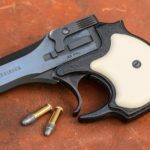 The most significant instance of this phenomenon was the Smith & Wesson Model 28-2, which took a huge nose dive in velocity with the two jacketed .38 Special bullets compared to the 3-inch barrel and the other two 4-inch barrels. The S&W 686-3 also showed a major drop in velocity with the Magtech 158 gr .357 Magnum load even though the same barrel had comparatively high velocities with some of the other loads. There was also some up-and-down going on among the sub-3-inch barrels, but to a much lesser degree. For every load, there was a velocity increase between the 2-inch barrels and the 4-inch barrels, but adding an additional two inches did not always produce greater velocity from the 6-inch barrel. Obviously, this is a very small sample size for both the ammo and the guns we tested, so take these results with a grain of salt, but there are a few things I think we can learn here. First, there are a lot of factors influencing velocity besides just barrel length. For example, the Model 28-2 we used was made in the 1970s and the 686-3 is from the 80s. All the other revolvers we tested are fairly new. It could be that those older revolvers were made to be optimized for loads we didn’t test. Maybe they have a different rifling twist rate, or a wider cylinder gap or maybe the chambers aren’t as tight. The 6-inch Taurus revolver has a ported barrel, which might account for it’s fairly unimpressive velocities. The bottom line is that when you’re looking at barrels that are very close in length, you can’t make any assumptions about velocity until you actually measure it. I think it’s also safe to say that among modern snub nose barrels around two inches, there isn’t likely to be a huge difference in velocity. 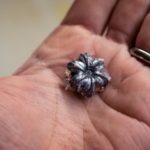 We chose to use the 2-inch Kimber K6s for the actual gelatin tests because it’s got a steel frame so firing the magnum loads is more tolerable than a lightweight gun. The Kimber also showed pretty middle-of-the-road velocities compared to other short barrels. For the 4-inch test gun, we decided on the Ruger GP100. It is technically longer than 4 inches — 4.2 makes it legal to own in Canada — but it’s one of the most popular 4-inch revolvers on the market, and the velocities we measured with it didn’t show any unusual outliers. We ultimately decided to use the Kimber K6s (left) and the Ruger GP100 (right) as the test guns for our ballistic gelatin tests. If this kind of nerdy velocity stuff gets you excited, check out Ballistics by the Inch. 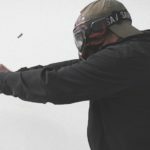 Those guys have done basically the same thing we did here, but they’ve got results for just about every handgun caliber and barrel length you can think of. If you want to know whether any of this velocity stuff actually has a real impact on self-defense bullet effectiveness, be sure to check the blog again soon for our ballistics gelatin test results. EDIT: A reader shared with us this article originally printed in the 1974 Speer Reloading Manual. It includes the results of Speer’s velocity testing of three different .357 magnum loads with 30 different firearms. The purpose of their test was to illustrate the same basic principle we discovered here: every gun is different and you don’t really know what velocity you’ll get until you measure it.